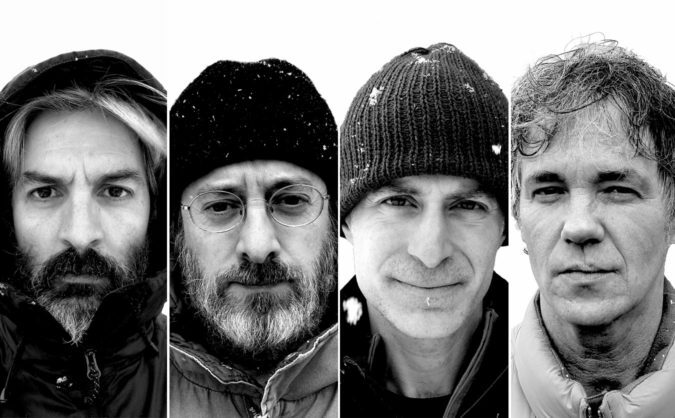 The New Year are preparing the release of Snow, their first LP in nine years. The result of that nine years of thoughtful crafting is a showcase of the The New Year’s singularly intimate sound. Snow is due on April 28th via Undertow Music. Culture Creature: Can you give us a brief overview of The New Year’s history? Bubba Kadane: Matt and I were in a band called Bedhead from 1991-1998. After Bedhead broke up we formed The New Year in 1999. We put out three albums from 2001 to 2008 and Snow is our fourth. Snow was made over the course of nine years. How did The New Year evolve during those nine years? The only way I can really answer the question is to talk about the evolution of the songs since they all led very different lives over those years. Songs like ‘Dead and Alive’ and ‘Homebody’ came about basically fully formed seven or eight years ago. Nothing changed about them musically or tonally over that time. Songs like ‘Snow,’ ‘Myths,’ ‘The Party’s Over’ and ‘The Beast’ went through various iterations, arrangement changes, and recordings. The remaining songs fell somewhere in between those extremes. If I had to sum up what some of the differences are with this album, I would say that we consciously decided, where appropriate, to stretch some songs out more than we might have ten years ago, and the tonal palette is a little different with keyboards taking on a more prominent role. Snow was made at various locations around the country. What impact did that have on the writing and recording process? I would say it was maybe more the other way around initially: the writing, or more accurately, the re-writing process meant that we needed to go back into studios over the years or use our home studios to redo things or record new parts. But then, ultimately, that meant we had the freedom to explore various options until we were satisfied. That freedom allowed for more possibilities to change and reshape certain songs. That all has as much to do with the flexibility afforded by digital technology as the locations themselves, though. What was the inspiration for the album title? We realized many years ago that there was a winter/snow thread running though the record and we had other working titles that were somewhat related to that – but the simplicity of Snow just felt, sounded, and looked right. How would you describe the collaborative relationship between your brother and yourself? I was asked this just the other day and I think I said that it works because whatever I miss, he catches and vice versa. Whatever one of us might not focus on too much, the other is more concerned with, so each one of our preoccupations with certain aspects of the process compliments the other’s. People who we play and record with, though, would probably say that a two-headed monster would be the easiest way to describe it.